One area that Lydia & I struggled with as parents of six kids, was how do live so that our children will share our faith in God? This was a real concern as our kids got older, started having friends that were not so good. We are still not out of the woods, because now we have grandchildren. It seems that the kids growing up today are even more removed from the reality of God. Then I get concerned for this country. Our education system is devoid of God. Our politicians seem opposed to God. What can I do to let my children and grandchildren, neighbors know that God is real and wants to be part of their everyday lives? Do you share my concerns? Do you wonder what you can do? Are you content with the way our country is going? Do you want to know what God says you should do? I think that God said so much in just one verse that we won’t be able to glean it all. In Hebrews 11:7, we will find so much practical advice on what we must do to reach out to those around us. As we ask ourselves some questions about this very familiar man, I want you to consider what you can do to reach your family, your friends and your neighbors with the reality of God. 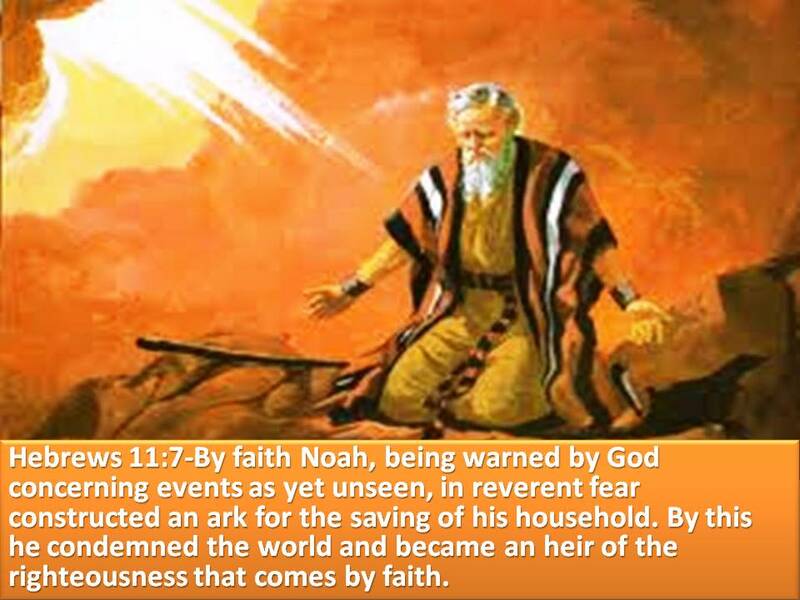 Hebrews 11:7-By faith Noah, being warned by God concerning events as yet unseen, in reverent fear constructed an ark for the saving of his household. By this he condemned the world and became an heir of the righteousness that comes by faith. 1. 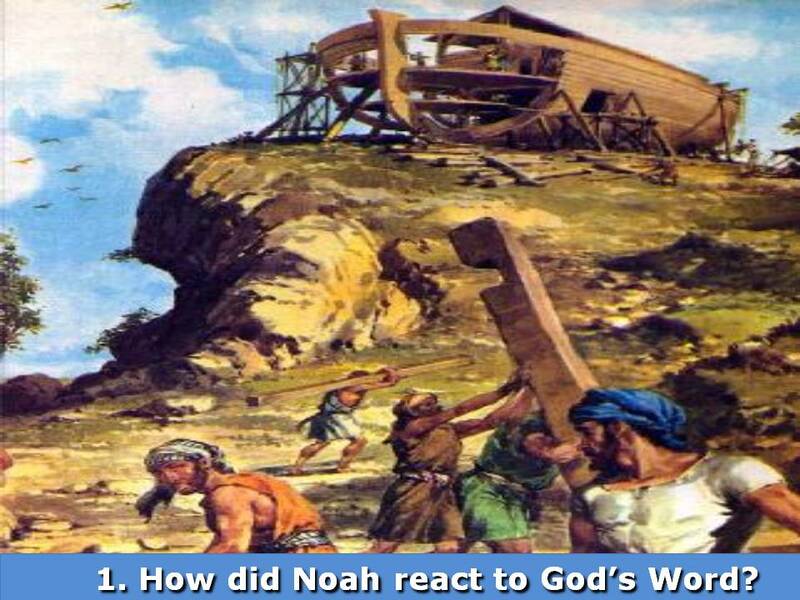 How did Noah react to God’s Word? Reverent fear is actually “fearing.” Literally, it means “having well received,” indicating that the Roman centurion rightly perceived the situation that if Paul were left to the Pharisees and the scribes they would kill him. The meaning, therefore, is to perceive or receive a situation rightly. Spiros Zodhiates, The Complete Word Study Dictionary – New Testament, (Chattanooga, TN: AMG Publishers, 1993), WORDsearch CROSS e-book, Under: ” εὐλαβέομαι”. Where did Noah get his Belief and Respect for God? Where did you get your belief & respect for God? 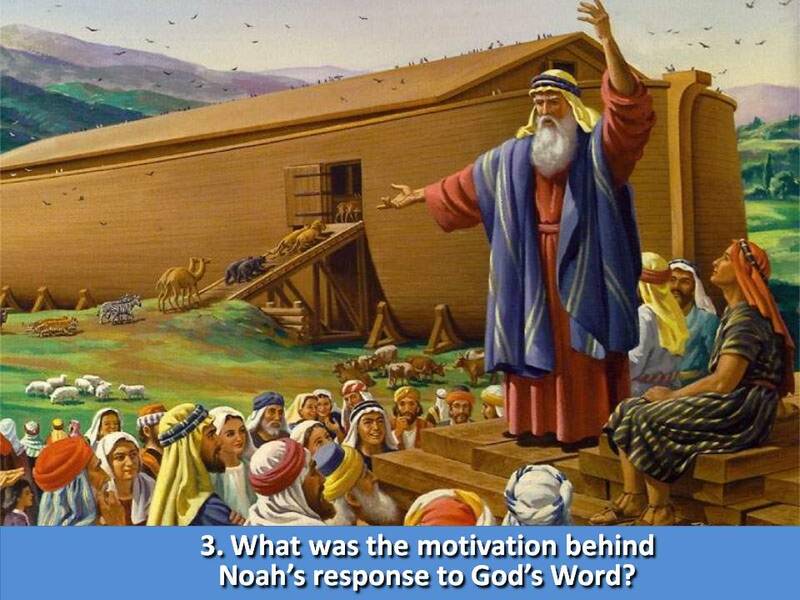 What did Noah’s Faith cause him to do? What resulted from his difference? What did Noah’s Faith cost him? Have there been any times in your life where you heard the instruction of God and obeyed? 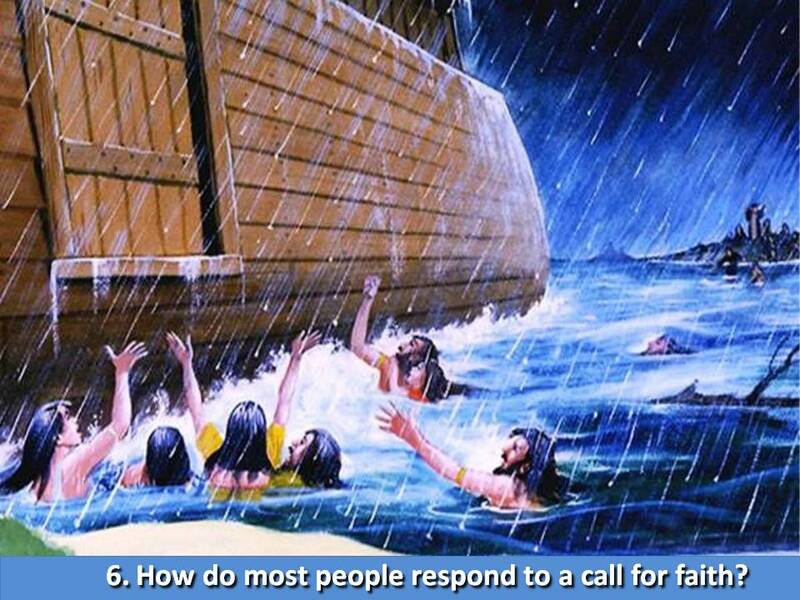 What was the risk of Noah choosing to disobey or ignore? 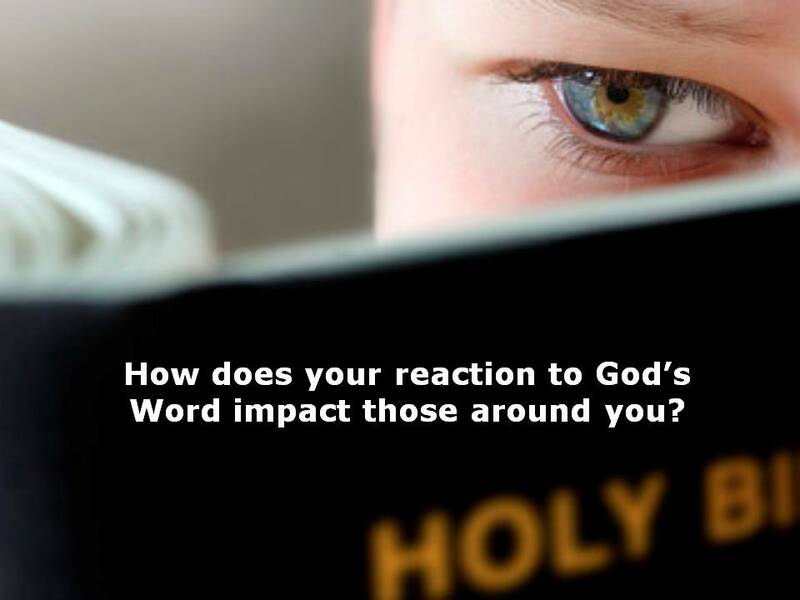 Does the way you react to God’s Word send a positive or negative message about God to your world? Do you have any family members who are risking their life by ignoring God? Does something you have done in faith have an impact on them? 2. How did Noah’s response confirm the truth of Hebrews 11:6? Then he was diligent to finish the job precisely as God instructed, even though it was unpopular and took decades to finish. Have you experienced any “reward” by seeking God? Have you communicated that reward to anyone. Would you be able to? 3. What was the motivation behind his response? Was it fear? Faith, or saving His family? 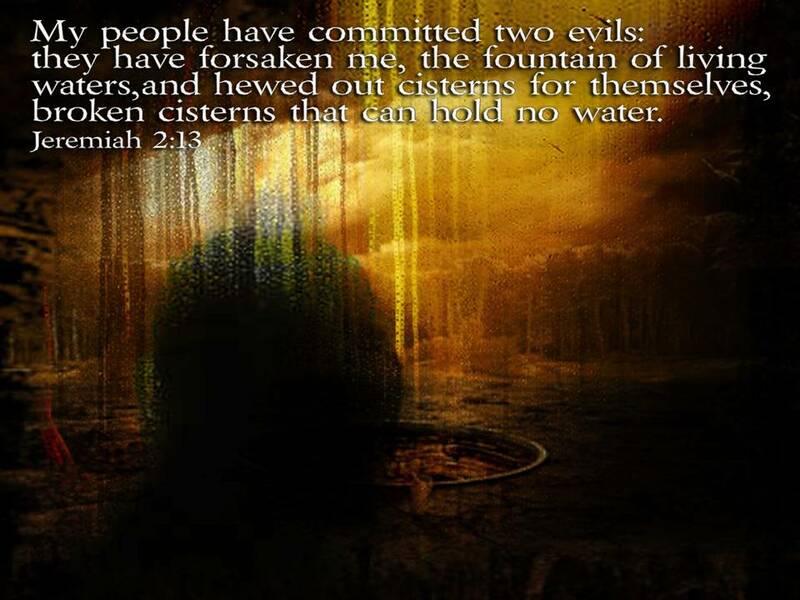 What is the motivation behind your seeking/obeying God? Is it for selfish reasons, or do you have your heart on your family and friends? 4. What was the result of his response? Was God just in acting so? How long did it take to see his family get saved? How has your family responded to your faith obedience? 5. 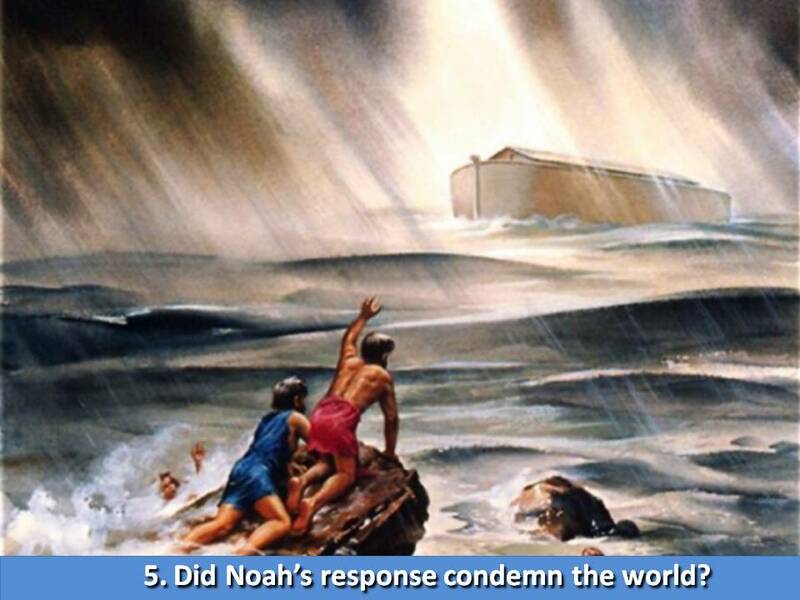 Did Noah’s faith condemn the world? NO – Faith Obedience REVEALS condemnation. Though—Noah, Daniel, and Job—The intercession even of the holiest of men shall not avert my judgments. Noah, though a righteous man, could not by his intercession preserve the old world from being drowned. Job, though a righteous man, could not preserve his children from being killed by the fall of their house. Daniel, though a righteous man, could not prevent the captivity of his country. 6. How do most men and women respond to a call for faith? Eventually they ignore it until a tragedy strikes their life. How should we react to tragedy? How should we react to difficult circumstances? Man’s normal response to God is to ignore Him. Good times-we may thank him, but He is just a good guy in the sky. Bad times-we may cry to Him, but we usually try to muscle through or call on friends. Man’s normal response to God is to go our own way and throw God occasional kudos, a prayer at mealtime or bedtime, and maybe even a $10 tip when we go to church. For the most part men go their own way. That was happening in Noah’s day. Their thoughts were evil continually. We tend to think the world was full of murderers and rapists. But no, God has a simpler definition of what he considers evil. What evil did God’s people (the Jews) do that caused him to destroy their land and give them over to captivity? Two things: they forgot God and went their own way. They paid no attention to God when it came to running their lives and making decisions. The people in Noah’s day were going about their normal lives as if they would always have tomorrow. They lived as if they were in complete control of their lives. They ignored God, they ignored His messenger Noah, and were totally unaware that judgment was upon them. 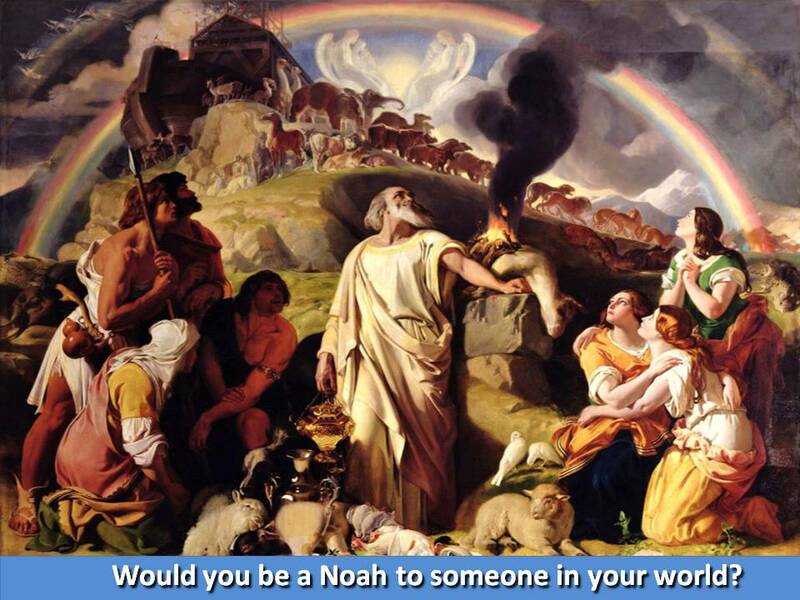 How can you become a Noah to your world? 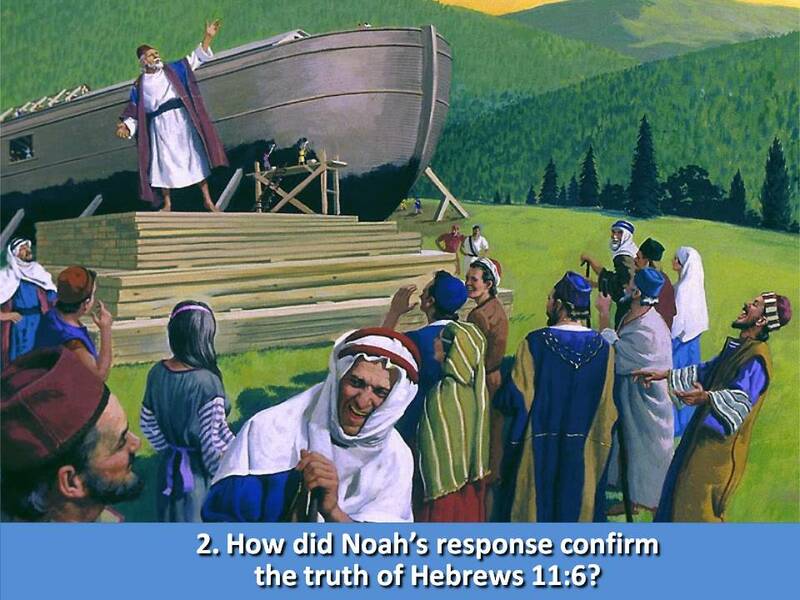 Reach the Conclusion that Noah did. You must do something that will cause the world to take notice that there is a God who reigns! What are doing today that requires total faith in the invisible? What has God asked you to do and yet you have ignored Him? Did Jesus say anything about how our lives and what we do should be impacted by God? Did Jesus Call you to be a Noah? Do Everything you can Whenever you can Wherever you can to Help others to Remember God! How do you know that a nation, a civilization is forgetting God? How can you tell God is about to judge a nation? There is always an increase in violence in the land! Understand that hypocrites and pretenders abound. Someone needs to present real worship of the real God to your world. Even the Jews had hypocritical leaders and priests. Listening to God, Following God and obeying God is a daily commitment. It was a way of life for Noah. He could not escape it. He knew judgment was coming, but he didn’t know when. He kept at because he was committed to God. You must involve God in your daily activities just like you are building a huge boat. Involve you children, your friends in a faith activity, something that will stretch your faith. It can be about money, about helping someone when you are not in a position to help. It can be building something to honor God in your home. What would our Country look like? 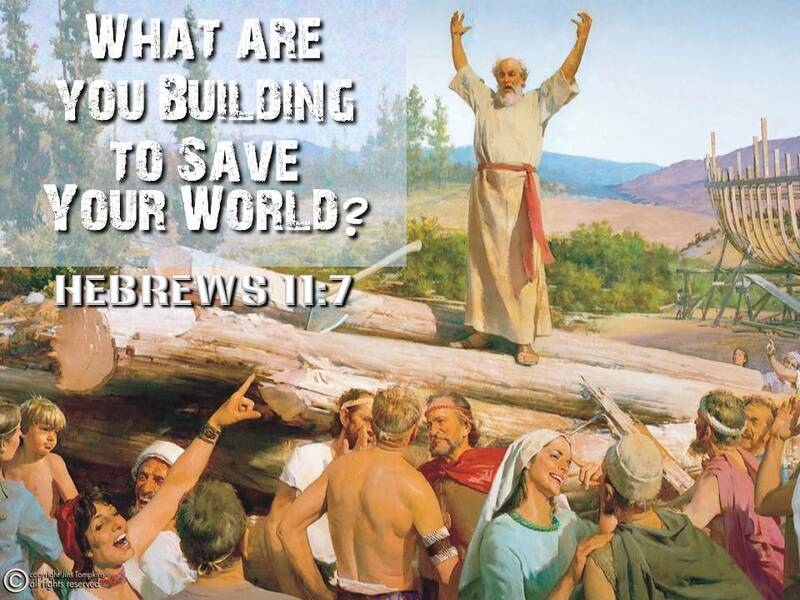 If every born again Christian was busy building an Ark to save their immediate world! We would see families coming together to love Jesus Christ. We would see friends following their friends into salvation! Adam Clarke, A Commentary and Critical Notes, (New York: Abingdon-Cokesbury Press, 1826), WORDsearch CROSS e-book, Under: “Ezekiel 14”. In “the inner court,” immediately before the door of the temple of Jehovah, between the porch and the altar, where the priests advanced only on extraordinary occasions (Joe 2:17), twenty-five men (the leaders of the twenty-four courses or orders of the priests, 1Ch 24:18, 19, with the high priest, “the princes of the sanctuary,” Isa 43:28), representing the whole priesthood, as the seventy elders represented the people, stood with their backs turned on the temple, and their faces towards the east, making obeisance to the rising sun. Robert Jamieson, A.R. Fausset, David Brown, A Commentary: Critical, Experimental, and Practical on the Old and New Testaments, (Toledo, OH: Jerome B. Names & Co., 1884), WORDsearch CROSS e-book, Under: “EZEKIEL”.